'The LBT owns a lot of incredibly beautiful and precious small wooden boats which are sadly underused and the Boat Hire idea has the potential to address that and create some employment, stimulate the local economy and enhance the attraction of Franklin at the same time. John Young and David Hume have done many months of painstaking work to get this idea off the ground and we are close to realising the project, but there are still one or two structural issues to resolve before it can be launched as a commercially viable community enterprise. It has been decided therefore, by a newly formed FWBA steering committee, that we can at this point commence with a trial period of approximately one month under the auspices of the Living Boat Trust. This will be possible only by using volunteers to run the project for the trial period of time. 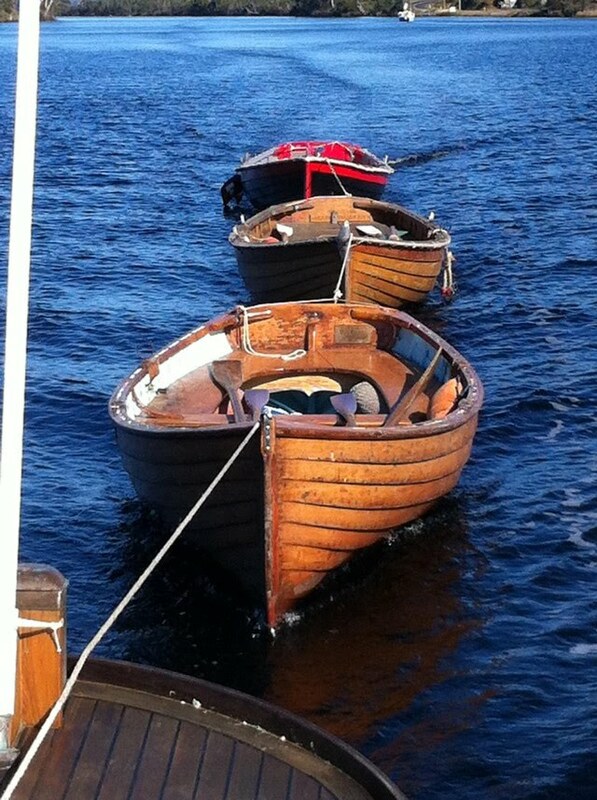 The idea of the trial is to work out the details of the practical running of such an enterprise and to get a feel for public interest in hiring our small rowing and sailing boats, ranging from a one-hour sail or row to a whole day adventure. During the trial period, which will probably run throughout April, the cost of hiring will be very cheap in order to try and boost customers. We are of course at the end of the tourist season, but it is envisaged that locals and Tasmanians will also want to hire the boats, word of mouth is a great way of spreading the news, so if you know of someone…? The winter period will be used to finalise the structural issues and the big launch for the enterprise will be held at the beginning of spring season, perhaps October. The enterprise will then offer some remuneration to the people running it, a kind of co-operative system, you may want to be involved with that, I certainly like the idea. We already have a number of people who have put their name down to act as “River Guides”, dock managers as it were, i.e. the person that will be present at the dock, preparing the boats, assessing the capabilities of customers, providing safety boat back up and assist customers in any way, including a bit of on the water instruction. These River Guides are proficient in small boat handling, rowing and sailing and have their motor boat license for the safety boat. Induction will be provided if required. But we would like some more people to step forward to create a larger volunteer pool so a reasonable roster can be drawn up for the one-month trial. A couple of us [maybe more] will be available to set aside a whole day’s volunteering a week, [that will only be four or five days in the month’s trial] so the roster will not be an odious one and flexible. There is a meeting organised for dock managers on Wednesday 28th March at 5pm at the LBT to draw up a roster and work out final practical details.